Five good reasons to support LNG in B.C. British Columbians enjoy the benefits of natural gas every day- hot showers, tasty dinners, heat and maybe even the ambiance of a fireplace. Producing natural gas is nothing new in B.C., the first commercial natural gas well began supplying gas to Dawson Creek in 1948. Since then, hundreds of wells have been safely developed in northeast B.C. and have supplied natural gas directly to millions of homes and businesses across the province 24 hours a day, seven days a week via thousands of kilometres of pipelines. Most British Columbians have heard at least a little bit about plans to liquefy and export our natural gas to overseas markets as “liquefied natural gas” or, LNG. Several companies have proposed building liquefaction facilities and export terminals on the coast, where the natural gas would be cooled to -161 degrees Celsius where it becomes a liquid and specially-designed LNG carrier ships would carry natural gas to buyers, primarily in Asia, where it is warmed up and becomes a gas again and sent through pipelines to their customers. The LNG industry has been safely shipping LNG globally for more than 50 years. According to a 2014 report by the Society of International Gas Tanker and Terminal Operators, more than 77,000 commercial LNG cargoes have been safely delivered in the last 50 years. Because LNG becomes a gas again at room temperature, it evaporates and does not mix with water or soil. Here are five reasons British Columbians should support an LNG industry in B.C. Right now the only market for BC’s natural gas is the United States. Because the US has so much of their own natural gas now – we’re forced to sell our natural gas to them at rock bottom prices. This means the US can import cheap Canadian natural gas to heat their homes and produce electricity and can turn around and export their own natural gas overseas as LNG for much higher prices. Liquefying and exporting natural gas to overseas markets adds value to a resource we already produce safely and responsibly. Adding these steps creates hundreds of new jobs, opportunities for businesses to supply goods and services and hire more employees, more training opportunities for apprentices and provides good jobs for apprentices when they receive their certification. If B.C. doesn’t have an LNG industry, those jobs and opportunities will be lost to the U.S.
LNG will be a new industry that pays taxes to both the BC government and federal government. That’s a completely new source of income that goes towards providing services like healthcare, education, public safety and social programs as well as affordable housing, schools, roads and bridges for all British Columbians and Canadians. BC alone will see about $3 billion every year for 30 years if there are two larger and one smaller LNG projects in BC.- the Conference Board of Canada did a study and estimated on top of the boost in income for the province, each British Columbian would see a boost of about $860 per person, per year in disposable income. As well, every new worker in the LNG industry will pay income taxes which also go toward supporting government services at both the provincial and federal levels. LNG from BC will help reduce global GHGs and cut air pollution. Air quality in China and India can be as bad as smoking one to three packs of cigarettes a day. Natural gas doesn’t contribute the fine particulate matter that makes air pollution so bad and it has half the greenhouse gas emissions of coal. Consider this: One year’s supply of LNG from a large-scale LNG project in BC would cut global greenhouse gas emissions by as much or more than all of BC’s annual emissions when used to replace coal. Finally, BC will produce the cleanest LNG in the world. BC is the only place outside of Norway that will have a carbon tax on LNG production. 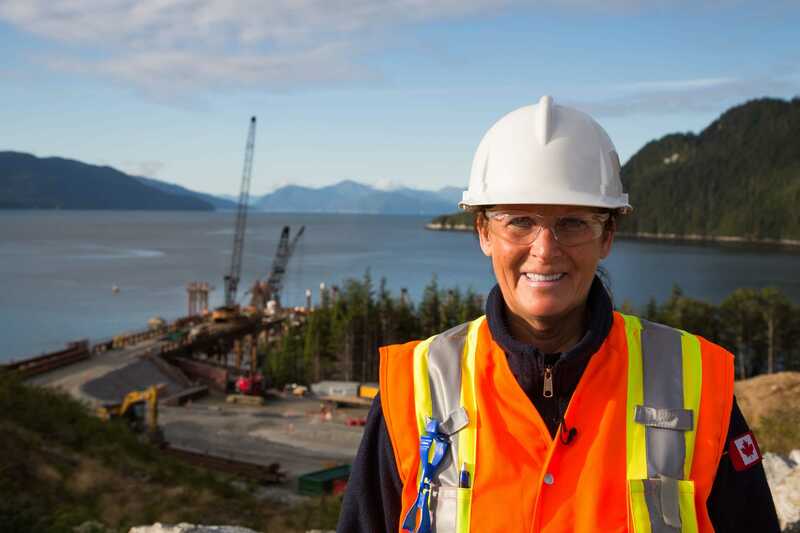 BC’s LNG projects are also required to have the lowest-emissions of anywhere in the world. Make no mistake, if BC doesn’t develop an LNG industry it doesn’t mean there is any less LNG in the world. It just means that other countries without our strong environmental regulations will produce and supply it and see all the benefits instead of British Columbians. If we can produce the world’s cleanest LNG here in BC, help other countries reduce air pollution and reduce global greenhouse gas emissions and create new jobs, opportunities for businesses, new income for more government services and infrastructure- those are good reasons to support LNG in BC.